designed to leverage collaboration and live content video to enable teaching and learning. Inclusive growth describes the growth of populations that are not part of mainstream economy. It presupposes that economic growth is a crucial component for poverty alleviation and therefore leads to broad based transformation of a nation. In emerging countries, economic growth is often lop-sided and organic trickle down benefits take an inordinately long time to the larger population. Hence, inorganic means are required to accelerate the elevation of the capabilities of the population to integrate and partake in the overall economic development. This approach creates economic, political, and social stability and further accelerates the growth of the nation. The main ingredients that enhance the capabilities of the population are education, healthcare, public services, and the availability of a marketplace. Often, these ingredients are non-existent or non-optimal in a heavily rural economy. At the same time, large scale migration of rural populations to urban centers places huge burden on the cities often causing them to crumble under the magnitude of demands. Therefore, it is essential for emerging nations to build infrastructure that will enable a distributed model of development where services normally available in the urban areas are accessible by those in rural areas. While enabling a single village is advantageous to that community, it does not bring in inclusive growth. We have to look at making this model scalable, replicable, granular, modular, and measurable so the entire nation can benefit from this architecture. Additionally, we also need to create a new ecosystem of partnerships and human resources that can then be delivered in an affordable manner. If we multiply this equation to include the next three billion people waiting to join the world economy, it becomes self-evident that the adoption of technology is the only available tool to achieve these goals. Cisco's cloud technology and architecture, is the ideal vehicle to achieve inclusive growth. The technology is scalable because it allows rapid aggregation of solutions and addition of participants. Because of the intrinsic nature of cloud technology, the solutions are available ubiquitously and therefore replicable. Since the participants of a cloud could choose the services they desire, it is granular. Based on the requirements of countries, the services can easily be modular. Most importantly, since the technology is focused on delivering customized and personalized solutions, it becomes measurable. The network is also an easy vehicle that allows governments, non-government organizations, global entities, and private companies to partner. It enables the massive infusion of human capital to achieve time to market goals. The cloud technology becomes very affordable for large deployments since it scales seamlessly to add or reduce capabilities as required by demand patterns. Cisco Education Enabled Development E/S 2700 is a platform that spans the edge to the cloud. It includes an intelligent edge device Cisco Education Enabled Development E/S 2700 that leverages cloud capabilities of Cisco to deliver secure, high definition video using the latest collaboration tools from the cloud. 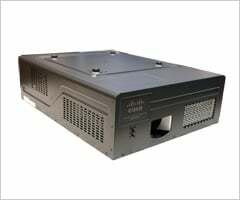 The Cisco Education Enabled Development E/S 2700 is a Class B ruggedized router that incorporates a computing and projection device and uses 40% less power. It is dust, heat, and theft resistant and costs less than $1 a child per month. The device is extremely easy to use with no command line interface and mere button to operate. The Cisco Education Enabled Development E/S 2700 is the first "Internet of Everything" solution from Cisco India. It is compliant with global standards such as FCC, CE, and UL labs. Router with computing and projection capabilities. Incorporates Speaker, Camera, Microphone and Power Management. Delivers high-quality video connection to remote teachers and students seamlessly. Allows expert teachers and master trainers to collaborate using state-of the art tools. Costs about $ 1 per-student-per-month to operate. The Inclusive Growth group completed two successful projects under its Sarvodaya Seva Program (Sanskrit term for 'Universal upliftment' or 'Progress of All') over the last two quarters. This program aimed at creating long-term benefit for our business and global communities. It is now an established fact that data networks increase national development. With the growth of Networks, the requirement for trained ICT (Information and Communication Technology) professionals worldwide has increased dramatically. Yet, many people lack access to training that could prepare them to exploit this demand. Identifying this gap, Inclusive Growth conceived "Sarvodaya Seva" program to help students and professionals from diverse socioeconomic background to develop the skills required to succeed in this technology-driven market. Sarvodaya Seva enables aspirants to gain additional training and education to gain globally-recognized certification. In both these activties, the engineers used the Cisco Enabled Education Development Platform (CEED) platform to impart training. Project 1: Cisco engineers donated their time to train retiring Indian Army personnel basic networking concepts so they transition to civilian life. Spending 8 hours every day, the Bangalore-based engineers rotated over 6 weeks to train 20 retiring soldiers located in Madhya Pradesh. This training led the soldiers to take up Cisco Certified Network Associate (CCNA) certification. In addition, the engineers also acted as one-to-one mentors to provide individualized training as required. Project 2 : Services Engineer group conducted Advanced Networking Concepts and problem-solving techniques training course to 45 orphaned students in Tamil Nadu. The engineers used a combination of classroom instruction, hands-on activities, online curricula, labs, network simulations, and online assessments to transfer knowledge to the youth. This led the students to obtain highly paid jobs in the IT industry. Under the hood, the Internet and networking solutions speak the same global language of technology. Unfortunately, for its users, it's a different story altogether. In an increasingly interconnected world, English remains the most prevalent language. This creates significant problems for nations like India where the spread of the English language beyond the urban centers is yet to reach significant numbers. This becomes a limiting factor for the mass appeal of the Internet and networking solutions as the vast majority of the population is unable to exploit the full benefits of technology. There is, still, many a slip between the cup and lip of the connected world. This program has been conceptualized and deployed by Cisco IGBU. Aravind Sitaraman, President, Inclusive Growth believes the eGurukul program has the potential to be a real game-changer in helping create vernacular language curriculum, "Over time, I envisage that the entire school curriculum of all the states and all vernacular languages will be available in text, video, and audio form. Imagine the impact that we will create and the legacy we will leave behind for future generations if we can all contribute a small amount of time and energy from the comfort of our home or during free-time at work to create simple content for children in our mother tongue." Volunteers interested in contributing to the program can do so by writing to projectgurukul@cisco.com. You can also find out more about the program at www.egurukul.org. A very good progress made in the Virtual Classroom Project at 34 ITI's in Kerala. Employment Training skills such as Employability skills, Technical Trades, Soft skills, and courses in English speaking have been very well received by both the students and the instructors. Cisco solution has also enabled the ITI's to share experienced instructors access locations, specialist instructors from Pune have been able to give classes to students in Malayalam and English ,w which has helped them do well in interviews. Overall, I am very happy with the project, its implementation and its impact. Cisco's CEED solution has brought much better life, chances and good medical care to the women and children in the State of Bihar. The CEED virtual class room has enabled us to train the nursing staff in the state with quality nursing skills education and training and I am completely impressed with CIsco's work on Virtual CLass Room and we plan to scale-up to connect more such Nursing Training Centres. 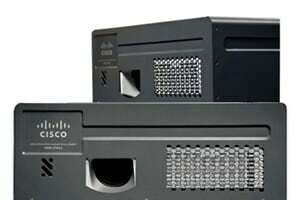 We had Excellent Experience using Cisco Educational Enabled Platform 2700. We were able to conduct Teachers, Staff and Student Trainings for all campuses across the country seamlessly from Hyderabad. The Experience has been amazing, reduced our travel and increased our efficiency. "I was very impressed when I saw Cisco's technology based teaching at Raichur. Hence we requested to implement the same at Hoskote district. First I was not sure if this kind of technology-based learning was possible to teach Government school children. I was amazed by the technology which facilitated one teacher to reach out to 5 schools simultaneously and interact with them. I have observed great improvement especially in English and Maths subjects. I had conducted test in other schools and found there was a big difference in the scored in children with technology based learning. I call this as a 'effective way of learning' as children learn faster with pictures, videos, live experiments more than just explanation. I can see all the center sitting at my office and observe all the activities of teachers and children. I recommend this platform to be implemented at all the schools as there is storage of good / specialized teachers. This is a competitive era, we have to match our children with CBSE and ICSE students. We have successfully conducted teachers training program for 250 teachers use Cisco's platform. This is an effective and very useful method of teaching and learning." "I'm happy to share that Children have become more attentive in class and participation has improved. Our enrollment has increased this year, about 10 students have enrolled from convent to our school, Cisco's technology is a great foundation and it should continue forever". "This is a New Technology adopted in rural area for the first time, and I think this should be adopted in all rural districts as this will give an opportunity to learn about the new technology and the classes conducted are phenomenal. Children are motivated to learn in an easy and better way". "I like Cisco class, as I understand the lessons better thought this class. They use lot of pictures and videos which is very easy to understand. Especially Maths and Science". "Cisco's technology-based learning is a great platform for children, especially helping children to understand and learn more about technology. It is observed that Children's interaction has improved a lot. This platform has helped children to understand and learn better due to new methodology of teaching using video, pictures, graphs, live examples etc. This is a great learning platform for everyone. I would recommend this to be spread across to all the schools"
"Teachers and Children are fascinated by this new innovation classroom teaching. The good thing about t Cisco's platform is that a good teacher can teach 5 schools simultaneously at the same time and this is the core benefit. This is been appreciated by the Community and Parents. Children are responding quite well. We would recommend this Ciscos technology based learning to be implemented in other schools too. We have very limited skill teachers, hence this platform will help reach out to many schools at the same time"
"Cisco's technology has induced children to take interest in learning. Teachers, by absorbing the process, have helped in improving their skills. We strongly recommend this kind of technology to others schools too. Children who had discontinued the school have again re-admitted back to school. Children have become regular to school, hence improving the attendance"
"Cisco's technology has helped us scale our student's level of learning. With help of Cisco online classes, the performance of students in English, Social science, math and science has increased considerably." "It is harder and harder to provide access to certain populations, either because they are ignorant of facilities, they live far away, or they just have general barriers like transportation, awareness and so on to accessing care. With Cisco Technology India's BPL and Middle class patients get quality health care and we are able to diagnosis and nip at bud several diseases and thus save lives." "Cisco Technology in healthcare is a real boon to the rural India. With help of technology we are able to reach the masses in the most backward district. This Add on healthcare system apart from the government programs and government agencies will certainly help the rural and urban divide. Cisco platform is robust."